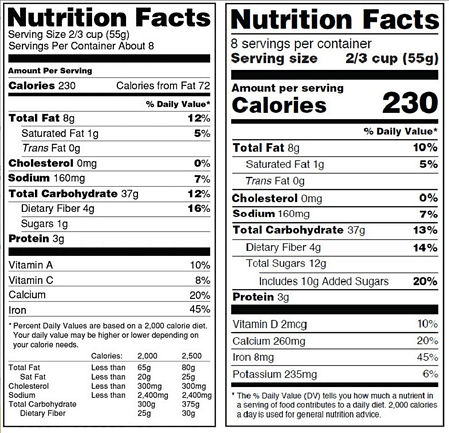 The FDA recently announced a number of new regulations regarding Nutrition Facts labels — these significant changes will impact packaging size, design, and verbiage on all products containing this information. Brands selling packaged goods MUST comply with these new rules and update their labels on their packaging. Once your nutrition facts labels have been updated, the next step is making sure the changes have been reflected on your packaging. We are here to help update your packaging once your new labels have been completed. Whether you are a current customer who needs to update your packaging or are interested in starting a new project with us, we are here to make the process of revamping your labels quick and easy. Currently using our stock pouches? If you really want to wow your customers and showcase your new label, there's no better time to switch to custom printed!